The most enjoyable days out on the water always require a little preparation. An otherwise perfect day of boating can be quickly short-circuited if you didn’t bring enough food, beverages, or ice. Virtually all recreational boaters are familiar with that punched-in-the-gut feeling of being out on the water and realizing they forgot something essential. Of course, some forgotten items – like a favorite pair of sunglasses – are simply an annoyance. Others are more serious. Before you begin gathering all your favorite snacks, drinks and assorted boating accessories and toys, be sure to plan for safety first. No amount of fun in the sun is worth taking an unnecessary risk. Before you begin your day on the water, it is important to know every person who will be on your boat and know for certain that you have a properly fitting life jacket. If you realize at the last moment that you do not, before you rush out to buy one, check to see if a nearby marina is participating in the BoatU.S. 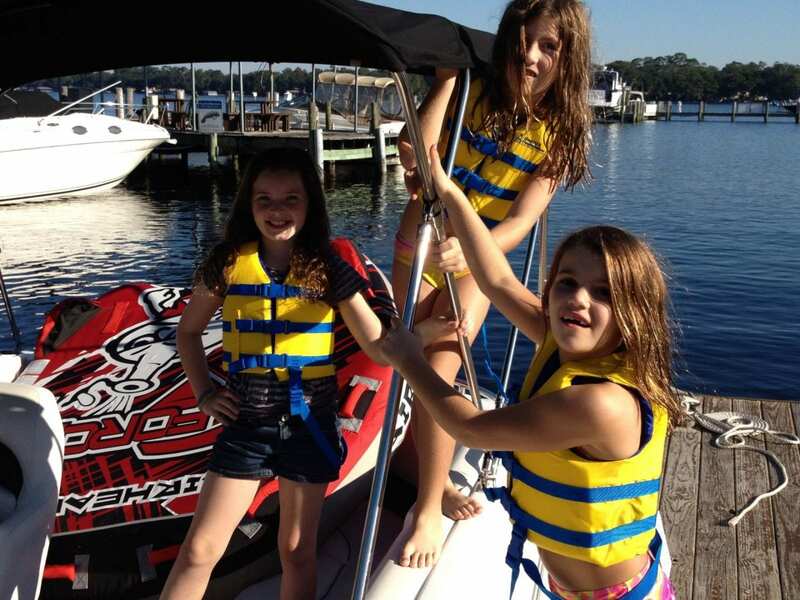 Foundation’s “Life Jacket Loaner Program for Kids.” It can save not only time but money.Freedom Boat Club at the Julington Creek Marina 12807 San Jose Blvd is a site for Life Jacket Loaner program. Visit Freedomboatclub.com to find out more. In addition, some people – particularly young children – might require extra protection from the sun during a long day out on the water. Do you have adequate cover on your boat? If not, can you bring sometime to provide some shade? How many people do you know who ever complained, after a long day on the water, that they applied too much sunscreen or didn’t spend enough time in the sun? It is also wise to set firm safety rules before leaving the dock. There are few quicker ways to spoil a relaxing day on the water than having a 10-year-old throwing a fit about not wanting to wear a life jacket.